Where do Meghan Markle and Prince Harry live and where’s Kensington Palace’s Nottingham Cottage? AFTER Meghan Markle and Prince Harry tied the knot, they both now officially reside at Nottingham Cottage in London. But where's their pad located and what do we know about the lodging? Where is Nottingham Cottage in Kensington Palace? The cosy cottage is located on the grounds of grand royal estate, Kensington Palace. The pad was previously home to the Duke and Duchess of Cambridge before the couple moved into a 20-room apartment inside the palace. Nottingham Cottage may be something of a starter home for the married couple with two bedrooms, a small living room, kitchen and bathroom. And while it may be one of the smaller abodes on the property, it does have reception rooms designed by Christopher Wren. There had been rumours that Harry had his eyes on grander accommodation for his new American bride, possibly eyeing up the 21-room apartment next door to his brother's. Where do Prince Harry and Meghan Markle live now? 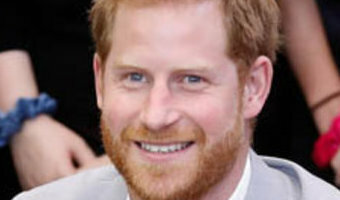 Prince Harry already lives in Nottingham Cottage and he reportedly … [Read more...] about Where do Meghan Markle and Prince Harry live and where’s Kensington Palace’s Nottingham Cottage?